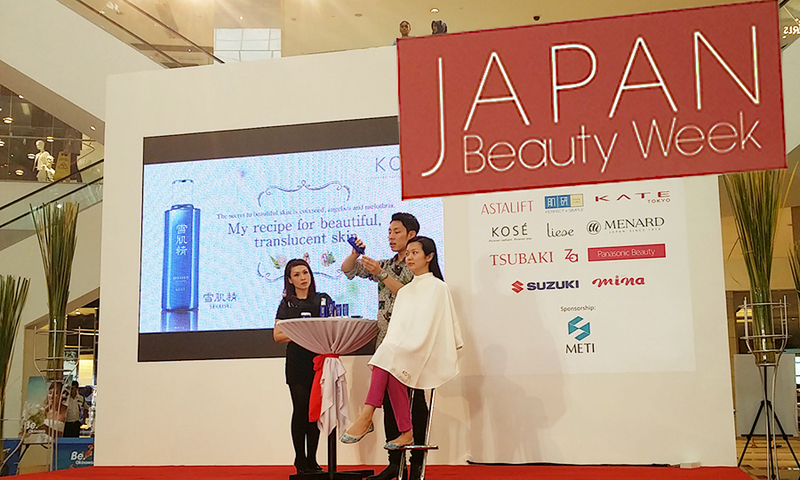 Last week, I got the incredible opportunity to meet Kose's international makeup guru, Mr Dobashi, and have him demonstrate a mini-facial and a simple everyday makeup look on me, on stage at Japan Beauty Week in Pavilion KL. Before heading on stage, my makeup was removed (with Kose products, of course!) whilst I relaxed in my chair. On stage, Mr Dobashi applied the Kose Sekkisei lotion on me as a mask, and then applied a moisturiser. For the makeup, he applied Kose's BB Cream, formulated with 6 different functions and benefits. I really liked it because it wasn't thick and sticky like most BB creams, and didn't leave a grey cast on my skin. My skin looked matte, but radiant. And Mr Dobashi's tips for natural, everyday makeup? Don't arch the eyebrows too much, and when you're doing your brows, using two different products like a powder and a pencil, will give your brows more of a 3D effect. Set your eyeliner with a dark eyeshadow so your eyeliner stays put, and looks more natural. To set your makeup, pat your powder onto your face with a powder puff, then gently swipe it off (for a more natural, less cakey look) with the edge of the powder puff. I learned so much from Mr Dobashi, and I am still reeling from the opportunity to be on stage and have him do my skincare and makeup! If you'd like to learn a little bit more about how to use the Kose Sekkisei lotion as a mask, check out my video on the mask and the event! 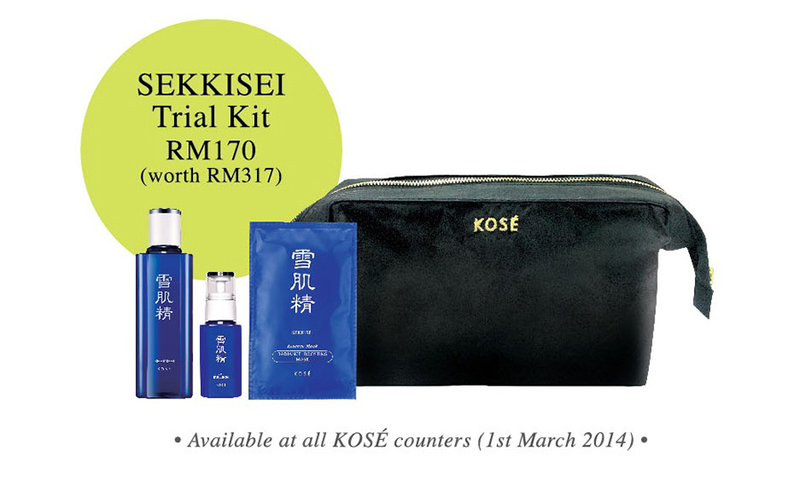 And if you'd like to try the famous Sekkisei lotion and skincare, Kose have released a trial kit for their customers at an attractive discounted rate, available starting March 1st 2014.